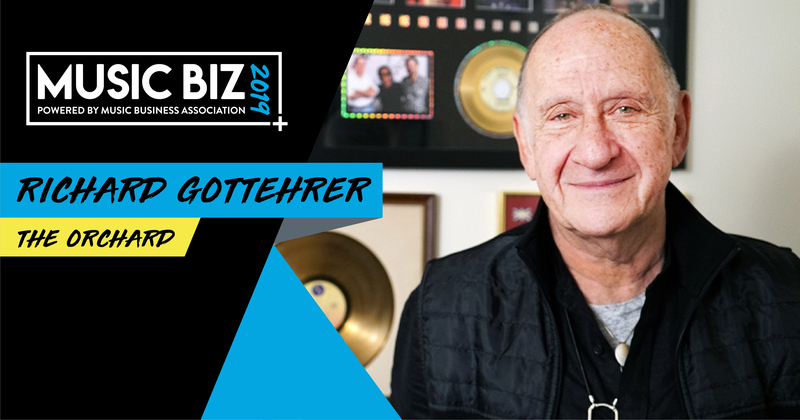 The Music Business Association announced today that The Orchard’s very own Co-Founder, Richard Gottehrer, is the recipient of the 2019 Outstanding Achievement Award. Richard will receive this Award at the Music Biz 2019 Conference Awards & Hall of Fame Dinner on Tuesday, May 7 in Nashville, Tennessee. In addition to this incredible recognition, he will present a keynote address during the Independent Artist & Songwriter Forum. Previous Outstanding Achievement Award recipients include “Despacito” by Luis Fonsi featuring Daddy Yankee; the Hamilton Original Cast Recording and Hamilton Mixtape; The Who and The Monkees to commemorate their 50th anniversaries; the Frozen soundtrack; and Gamble & Huff, Leiber & Stoller, and Ashford & Simpson. It’s no surprise to anyone that Richard is beyond deserving of this award. An industry innovator who has left his mark on all areas of the music world, Richard has been a major influence on the entertainment industry as a songwriter, producer, performer, entrepreneur, and founder. If you’re not familiar, Richard has penned classics including “My Boyfriend’s Back,” produced “Hang on Sloopy” and brought the world the infamous “I Want Candy” — to name just a few. In 1997, Richard, alongside co-founder Scott Cohen, brought to life a digital distribution platform that would embrace technology to empower emerging artists in the independent music community. Over twenty years later, The Orchard has grown to become the world’s largest indie music distributor. Always with a smile on his face, a story ready to tell, Richard brings so much joy to The Orchard. Congratulations to Richard for this award — we congratulate you today and everyday. For the full announcement and more details on Music Biz, visit here.